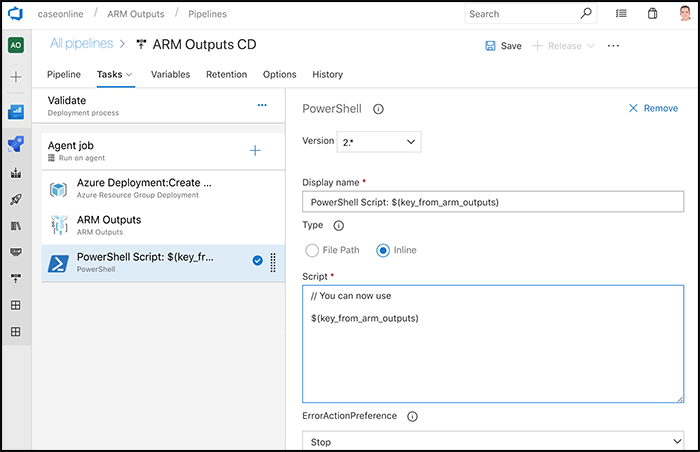 This extension enables you to use the ARM Deployment outputs in your Azure Pipelines. 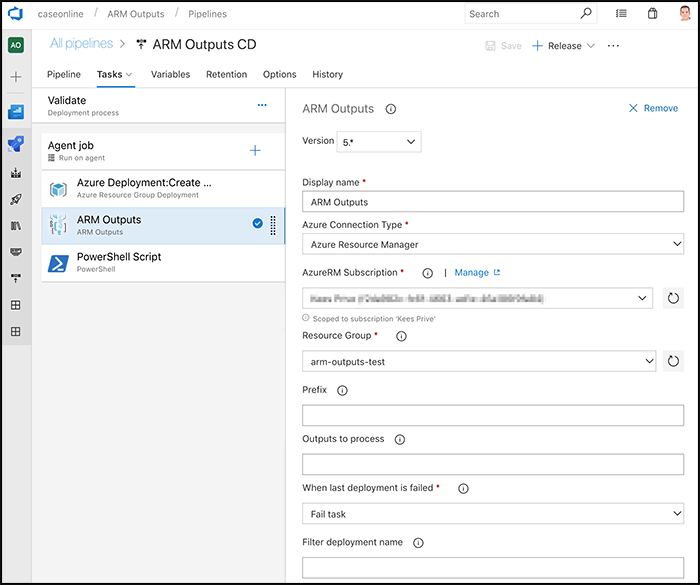 Usually this task is ran directly after the 'Azure Resource Group Deployment' task. Using the 'prefix' parameter, it is possible to prefix the variables used within Pipelines. A prefix can be used to distinct variables coming out of ARM from regular Pipelines variables. A prefix can also be to prevent collisions between ARM Output names and Pipelines Variable names. 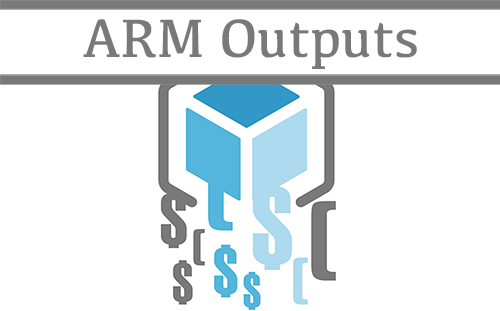 Using the 'Output Names' parameter, it is possible to process only a subset of the ARM Outputs. When this field is left empty (it is by default) all ARM Outputs are used. Using the 'When last deployment is failed' parameter, you can choose the behaviour when the last deployment to a resource group has failed. There are two options, 1. fail the task (the default) or 2. take the last succesful deployment. If your output is of type SecureString the output value cannot be read and these outputs are therefore ignored. The things I track to improve/monitor this task are: the type of host/os, the version and duration of this task and the message/callstack of exceptions when they occur. I will never send things like name/value of your tenant, subscription, resource-group or your ARM Outputs. Please don't just take my word but check the code and see the actual deployment pipelines history for any (recent) version. Note that names are seperated using an underscore and arrays are indexed. Find me at http://case.schollaart.net/. Experiencing problems, or do you have an idea? Please let me know via Twitter or by mail. Or even better, raise an issue on GitHub.